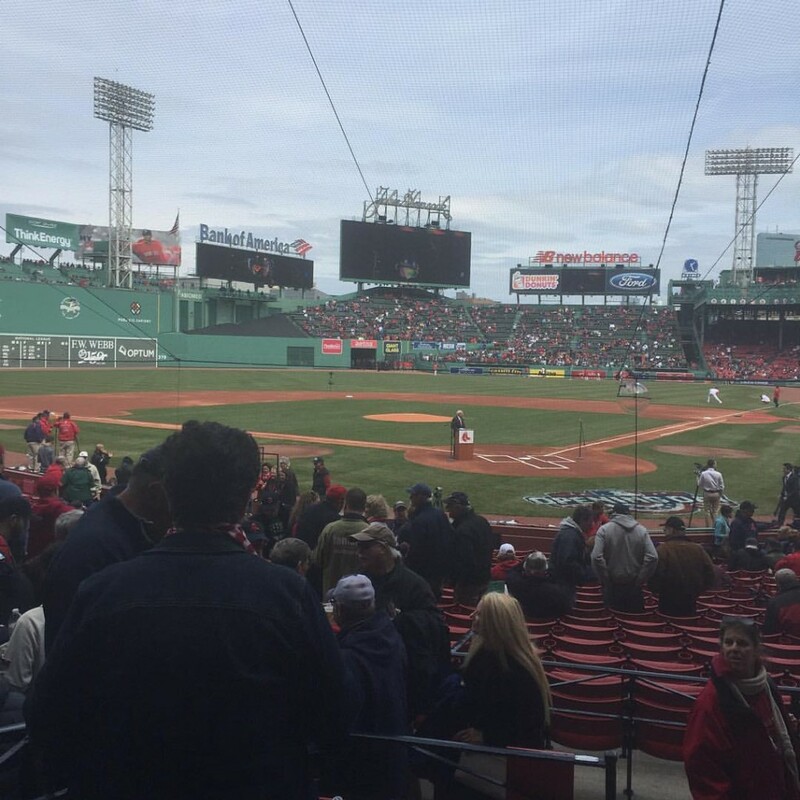 Every year since around 1999 I have tried to make a point of going to the last game of the regular season at Fenway Park. Since that time there have been two or three times that I haven’t made it but, for the most part, when the Red Sox say goodbye to the fans for the regular season, I’m there. 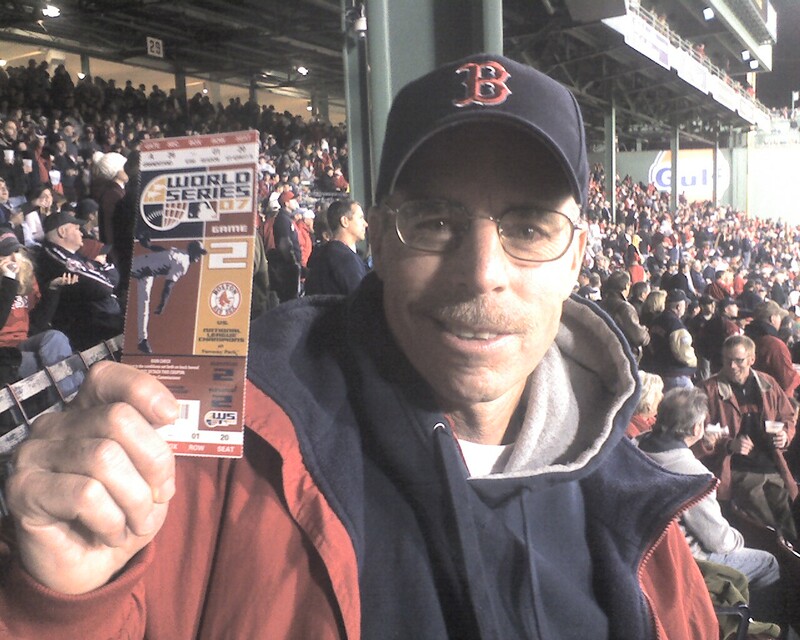 I bought the ticket for tonight’s game way back in December thinking the same things I do every year: If the Red Sox are in division lead it would just be fun to be at the park (and say goodbye to Fenway) and if the team is completely out of it I’d want to be there to support the team (and say goodbye to Fenway). I don’t usually take into consideration the situation that the team is currently in. The team is in the lead for the Wild Card. They are two games up on Tampa Bay and six games out of first place behind the Yankees. They are, technically, still completely in this. Unfortunately, their play hasn’t been that of a playoff competitor and instead of offering up support to help give the team that extra push it seems that many fans physically showing up at Fenway would rather bring the negative. This makes it so that the team isn’t what makes me kind of dread going to tonight’s game but the fans are. I guess that positive outlook from the fans I mentioned yesterday only exists if the team is winning. Regardless of what October brings for the Red Sox, tonight is more than likely the last time I’ll see Fenway in person this year and I plan to make the very best of it. 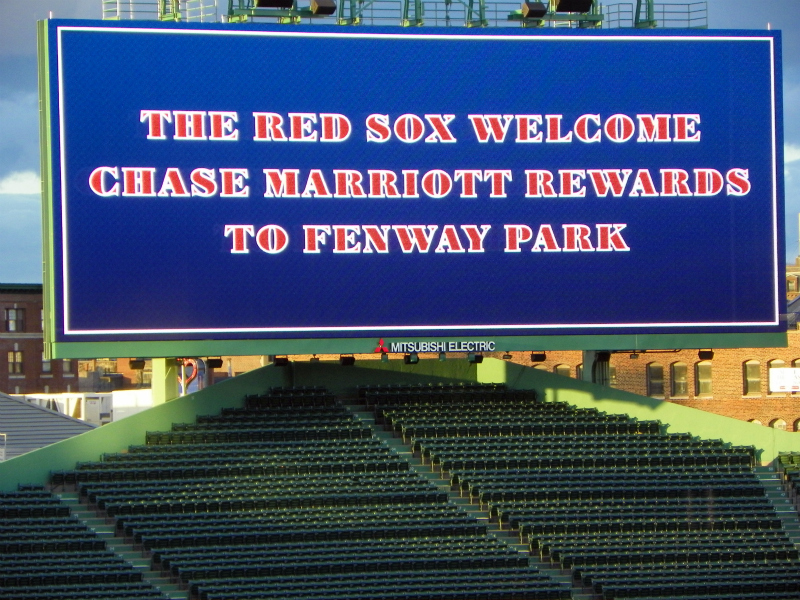 On the evening of Thursday, June 2, more than 30 diehard Red Sox fans will receive the ultimate fan access as one of the exclusive offerings of being a Chase Marriott Rewards cardmember. These individuals will participate in a unique, once-in-a-lifetime Red Sox experience, featuring an all access tour of Fenway Park, an intimate dinner with Red Sox legend Luis Tiant and an overall exciting night of storytelling as these fans get once-in-a-lifetime Red Sox fan access. We’d love to have you join us for the all-access tour, dinner and to speak with Luis about anything and everything Red Sox and live this unique experience alongside the cardmembers. How could anyone with relatively easy access to Boston and Fenway say no to this offer? I know I couldn’t (and didn’t!). As with many events of this nature, things didn’t go exactly as planned. I initially expected to be going alone and then was told I could bring a guest (I’m very thankful to know people who are easy to get motivated at the last minute!). So two of us were given the opportunity to go to Fenway Park on an off-night, walk around the park, eat free food and partake in an open bar, and on top of all of that…get the chance to meet and speak with Luis Tiant. The only part that didn’t really work out was the speaking with Luis. And that was only because Luis was so engaged with the card members (who paid for the privilege). The people organizing and running the event (especially Angus from Chase and Shawn McBride from Ketchum Sports & Entertainment) went out of their way to try and get us access but timing was bad and, honestly, given that I went in not completely expecting one on one time, I didn’t mind. We, along with the card members, got photos with Luis (which included time to talk with him not really interview him which, I have to say, I enjoyed on a totally unprofessional level!) , Luis mingled with folks and he spoke at length (and then mingled again) just about his life (including letting us know that he’s coming up on his 50th wedding anniversary!) 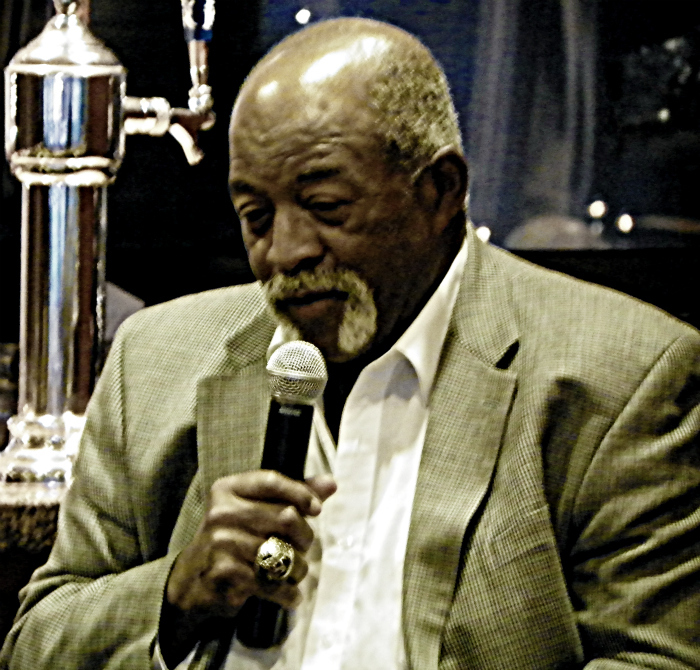 and if you haven’t had an opportunity to listen to Luis Tiant speak, you’re missing an awful lot. He’s funny and sweet and while I am sorry I didn’t get a chance to speak one on one with him at any great length, I’m so appreciative for the opportunity to be there. So I owe Ketchum (especially Sarah Smedley there) a special thanks for extending the offer. You haven’t experienced Fenway in the EMC Club until you’ve had pieces of Fenway Frank served to you as an hors d’oeuvre. Also, any opportunity I get to be at Fenway and wander around pretty much wherever I wanted to wander without fighting off crowds is a fantastic opportunity I won’t be saying “no” to. I’ve been fortunate to have experienced Fenway on an off-night (or at least on a night when the Red Sox weren’t in town) a handful of times now and there’s really nothing else like it. So thanks to Chase, Marriott, Ketchum, Fenway Park and Luis Tiant for making the evening memorable. The fine folks at Tickets for Charity are once again giving my readers an opportunity to have a cool and unique Red Sox experience. You remember them. They’re the folks who gave me the tickets to give away for Opening Day this year. The people who do damn fine charity work by offering tickets to sporting (and other) events where if you buy tickets from them instead of another ticket service, the money you spend over face value of the ticket goes to charity (one of your choosing if you so choose to be that specific). 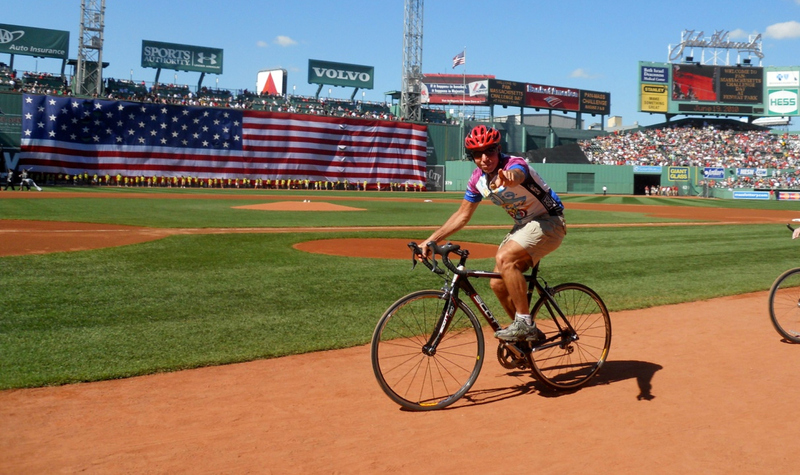 This time around the prize is a private tour (for two) of Fenway Park during the day on Wednesday, May 25th. The prize includes lunch on Tickets for Charity and includes visits inside the Green Monster and on the field. The exact time hasn’t been worked out yet but will be closer to the day of the tour. This prize isn’t one I get to give away, though. It’s exclusive to my readers and those who read other Tickets for Charity partner sites but it’s still easy to enter. (Much easier than my quizzes!) Go to this link and just give your email and the name of my blog (it asks for “blogger you follow” but they’re looking for “Toeing the Rubber”) and hit “submit” and you’re done! Ever wonder what lies behind the famed Green Monster? Or which players, past and present, have etched their names in its depths? 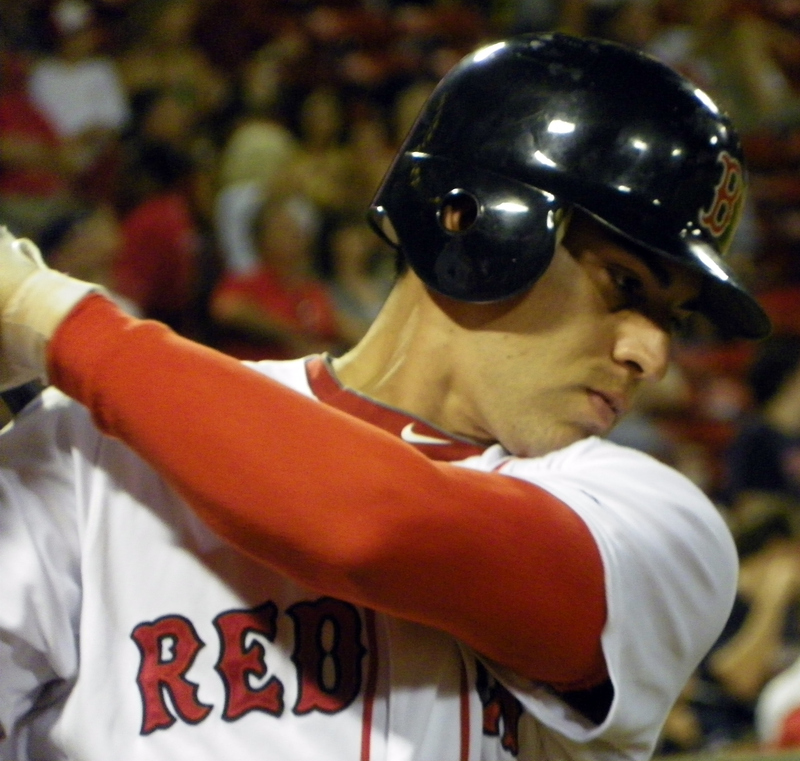 Or maybe you’ve dreamed of patrolling the same outfield as Red Sox legends Yaz, Jim Rice and Ted Williams. 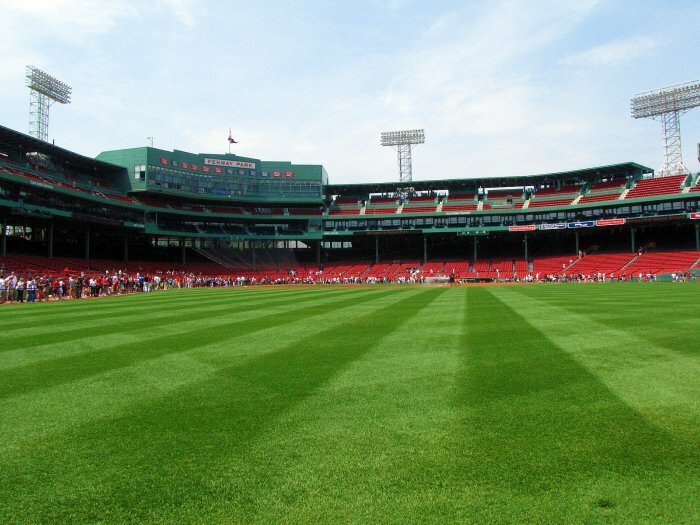 TFC is granting one lucky follower access to a private tour for two of historic Fenway Park on May 25, 2011. The winner will have a chance to take an intimate walk around America’s most beloved ball park, and enjoy lunch on Tickets-for-Charity. Enter for a chance to win now! Just include your email address and the name of the blogger’s site you came from. Entries will be accepted until 6 p.m., Thursday, May 19. The winner will be notified on Friday, May 20.Good luck! They’re a great organization that does wonderful work and they’re committed to supporting the fans who are supporting them…so go on over and hopefully you’ll win! ***Special thanks to Tickets for Charity for, yet again, being terribly generous to we the fans! As I’ve mentioned before, writing a blog about the Red Sox comes with a few perks. None as good as this (the Mets credentialed some of their bloggers!) but still decent perks nonetheless. My favorite is receiving books about the team and/or baseball in general. I’m a book nerd. I’m a baseball freak. These two things fit well together so when someone wants to give me a free book who am I to say no? 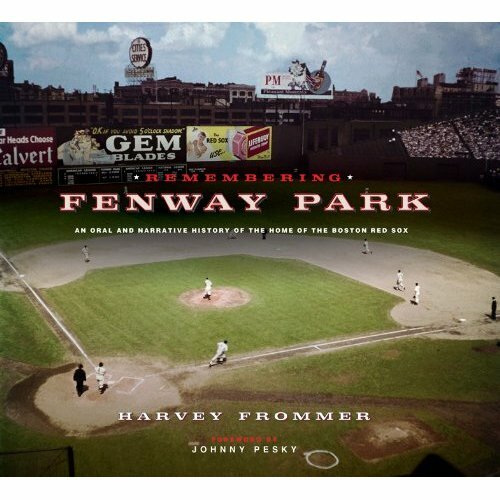 The people at Press Box Publicity were kind enough to send me Remembering Fenway Park: An Oral and Narrative History of the Home of the Boston Red Sox, by Harvey Frommer (with a foreword by number 6 himself, Johnny Pesky!) and I haven’t been able to stop going through it. The photos are gorgeous and are some of the most iconic images in Fenway history (including Carlton Fisk waving his home run ball fair and Manny Ramirez hanging out at the Green Monster) and they’re accompanied by the first-person recollections of the park by former Red Sox outfielder Jimmy Piersall, sportswriter and author Leigh Montville and author, Red Sox historian and Rounder Records founder Bill Nowlin, among others. The book celebrates not only the history of Fenway Park but the love affair we have with it and, in all honesty, I would encourage anyone who holds Fenway close to them to head on out and purchase this gorgeous coffee table book. For one lucky person, though, you won’t have to go looking very far because I’m giving away a brand new copy of Remembering Fenway Park: An Oral and Narrative History of the Home of the Boston Red Sox , courtesy of Adam at Press Box Publicity. So we go again with another trivia question and this time I’m going to make it an easy one! The first person to send me the correct answer at contests@toeingtherubber.com will have the book sent to them (with a little Red Sox-related surprise as well!). All you have to do is tell me which Red Sox players have had their numbers retired by the Sox and what those numbers are. That’s it. First correct answer I get (to the email above NOT in the comments) wins! Thanks again to Adam for the book and good luck to everyone!